Burning waste for energy undermines Europe’s recycling efforts by diverting waste to incinerators instead of having it reused or recycled, thereby defeating the purpose of the Commission’s well-meant directive on minimising waste. In 2015, the Commission launched an initiative on the circular economy, titled “Closing the loop”. The objective was to minimise waste and extend the value of products and resources for as long as possible. A waste hierarchy was devised, in which reducing, reusing and recycling waste sit at the top – and incineration is just above landfill. In other words, nothing that could be recycled or composted should be burnt. This tallies with the EU’s recycling target, agreed in 2008, to recycle 50% of all municipal waste by 2020. But waste can also be burnt to create heat or electricity, a process known as “waste to energy” (WtE). And as the organic fraction of waste is considered a renewable resource, it is eligible for state subsidies under the EU’s current renewable energy scheme. Countries are trying to make the most of the subsidies, often bending the rules. 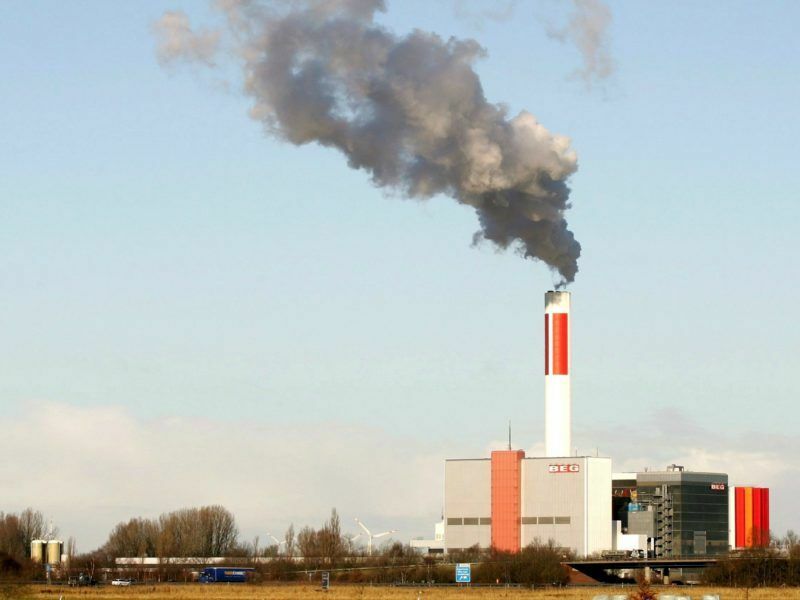 Subsidies encouraged investment into incineration plants. According to a 2017 report by the European Environment Agency, member states including Sweden, Denmark and Estonia have reached incineration overcapacity – in other words, they have a waste shortage. In an ideal scenario where 65% of waste is recycled, France, Germany, Austria and the Benelux countries also produce less waste than what they need. Effectively, this over-capacity puts a cap on recycling: a recent study shows that with the incinerators existing in 2011, the UK could have recycled 77% of its waste. But building new capacity led to a paradoxical situation: if all plants are to be used, by 2030 recycling will be capped at 63%, simply because there is not enough waste. This is not a hypothetical scenario. The trade-off between waste recycling vs. burning is already happening in some countries, Eurostat data shows. The Commission called on member states earlier this year to phase-out subsidies to WtE to avoid subverting recycling targets and the waste hierarchy. But despite a decline in WtE across the bloc (-3,2% in 2015 compared to the previous year), a number of eastern countries (including Slovenia, Bulgaria, Hungary, Lithuania, Poland, Estonia and Slovakia) but also the UK, Austria and Sweden, are burning waste at increasing rates. “If the incorrect application of RED distorts the waste economy and hierarchy, away from recycling and towards incineration, we will get to 2020 and still be far from EU recycling targets of 50%. The fear is that member states will review their recycling ambitions downwards,” Enzo Favoino, scientific director of campaign group Zero Waste Europe, told EURACTIV.com. What is more worrying, in some cases the recycling trend has reversed – as in Bulgaria (-15,4% in 2015 compared to 2014) and Estonia (-6,4%) – or stagnated, like in Sweden and the UK. All four countries have, over the same period, increased the rate at which they burn waste. Wherever there is a demand, there will be a supply. This is how waste became a commodity: imports of municipal mixed waste grew fivefold after the introduction of waste-to-energy subsidies. Because waste has become a traded good, it cannot face barriers to trade. The market decides the price and waste flocks to countries with relatively larger disposal capacity, where it is burnt in subsidised plants. Unsurprisingly, the biggest importers of waste are Germany, Sweden, the Netherlands, Estonia and Belgium – all countries with a high incineration capacity according to the European Environment Agency. Waste exporters also include net importers Germany and Austria, defeating the EU’s “proximity principle” (Article 16 of the Waste Management Directive), according to which waste should be disposed of as close as possible to where it is produced. Under the EU’s directive on renewable energy, only a certain part of mixed waste is considered eligible for “renewable” electricity subsidies, and that is biomass. This is the kitchen and garden waste that ends in the mixed waste bin (currently, there are no compulsory EU rules on collecting organic waste although some member states have implemented their own initiatives). It is up to countries to decide what percentage of their mixed waste is made of biomass, but there is no uniform rule on how to do this. Countries like the Netherlands measure the average bin content and publish every year an official waste percentage eligible for state subsidies. Most countries arbitrarily set this at 50% (France, Italy, the UK). Others, like Estonia, do not disclose their subsidised percentage of organic waste because, they say, it is a “trade secret”. NGO European Compost Network estimates this percentage is closer to 40%, although it depends on the season and geography. Nonetheless, according to calculations by NGO Zero Waste Europe, a number of incinerators across Europe receive subsidises for all the waste they burn, and not just the renewable component – this includes plastics, paper and cardboard that could be recycled (and have a higher negative impact on environment and health). The Zabalgarbi incinerator in Bilbao, Spain, is cheating with RED subsidies according to Gorka Bueno Mendieta, professor of engineering at the Basque Country University. “Although less than 20% of the electricity generated is of renewable origin […] every megawatt generated in Zabalgarbi is rewarded with feed-in tariffs, as if that electricity would all come from waste,” Bueno Mendieta wrote in an email. Lawmakers in the European Parliament will next month examine a draft renewable energy bill that recycling industries warn would allow EU countries to count the burning of biowaste towards their green energy obligations, undermining separate efforts to boost recycling. towards more sustainable waste management systems and a circular economy. CEWEP supports source separation of waste (including biowaste) as this is a prerequisite to make quality recycling possible. 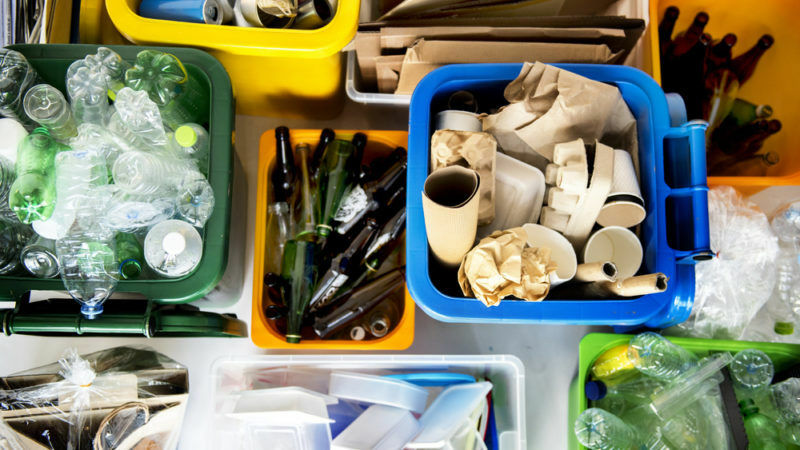 The Waste Hierarchy (prevention, preparing for re-use, recycling, recovery, disposal) established under the Waste Framework Directive is to be respected. However, despite all efforts of source separation, there will always remain some polluted biodegradable part of the residual fraction of industrial, commercial and municipal waste (e.g. dirty cardboards, multilayer packaging etc. ), which is not suitable for quality recycling or composting. This waste should be treated in an environmentally sound way and at the same time used to produce energy (heat, electricity, steam). Energy generation from the residual waste is a reasonable energy efficient option, replacing energy produced from fossil fuels. The only alternative treatment for this waste would be landfilling, the least desirable option in the European Waste Hierarchy and with regard to climate protection. As such the aim of the article is laudable: avoid wrong application of the RES subsidies and only support financially the energy generated from the renewable content of MSW. The waste hierarchy sees an added value for WtE, since landfilling is the “last resort” and WtE is seen as a recovery operation. So the statement does not reflect reality, but to present WtE as the worst treatment option fits well in the overall tone of the article. Waste is not considers a renewable source. The biogenic fraction of MSW or biomass (also biomass waste) is. So by staying first that “waste can also be burnt to create heat or electricity,…” and then in the same paragraph state that waste is renewable (I suppose since it includes a biogenic fraction), one is creating a new fact that waste is considered a renewable source, which also fits well in the overall approach since later in the article thes financial support for all the waste is rightly attacked. This is not matching the reality neither. The European Environmental Agency states in her study, which is quoted in this article, on page 33-34 that the UK is an exporter. So this “fact” of the UK being an importer (although one cannot exclude that some waste is maybe imported, but which does not change the UK being a net exporter) was new to me. As stated, the aim of this article is laudable, but keeping a factual approach throughout the whole article is mandatory to stay credible. I’m persuaded that concerned EU associations would be always available for fact checking.